Going from Basic to Pro is easier than you think! 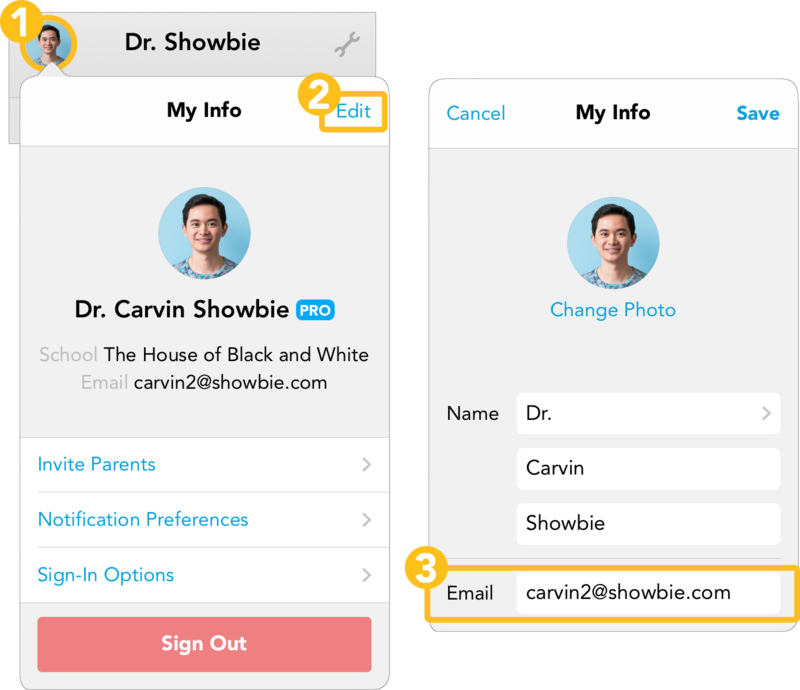 If a teacher already has an existing Showbie account, it’s easy to upgrade this account to Pro! First, log into the Admin Dashboard at dashboard.showbie.com. Want to learn more about how to use the Admin Dashboard to upgrade teachers? Check out the guide! After they’ve been upgraded, teachers just have to log into Showbie to start using Pro features like Groups and Class Discussion. All of the students in their classes will also be seamlessly upgraded to Pro! Need to add a teacher? You can invite teachers to join the school/district account with their existing or new Showbie account. Teachers with existing accounts can also join the school account – just remember that you must verify them afterwards. What if a teacher needs to change the email of an existing account? Need more detailed instructions? Check out this guide.